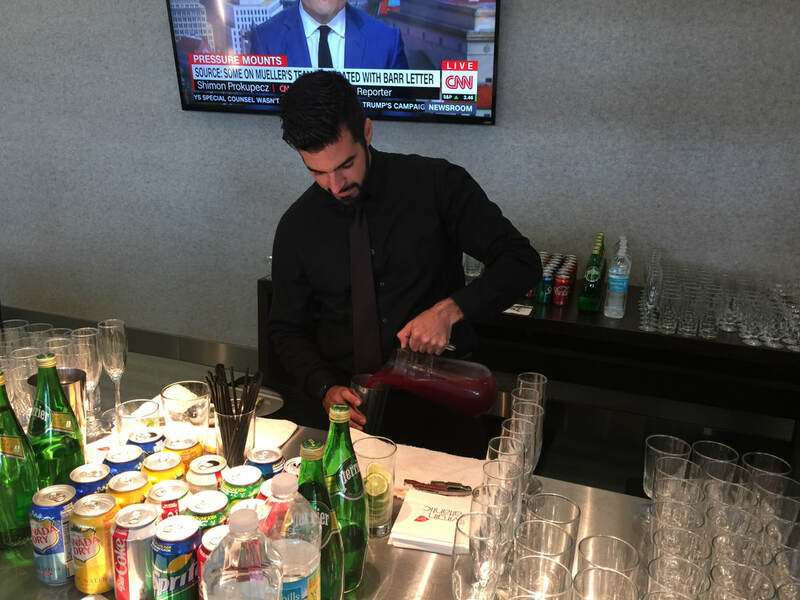 Thursday, April 4, 2019, was a red-letter day, both figuratively and literally -- for Brightline. 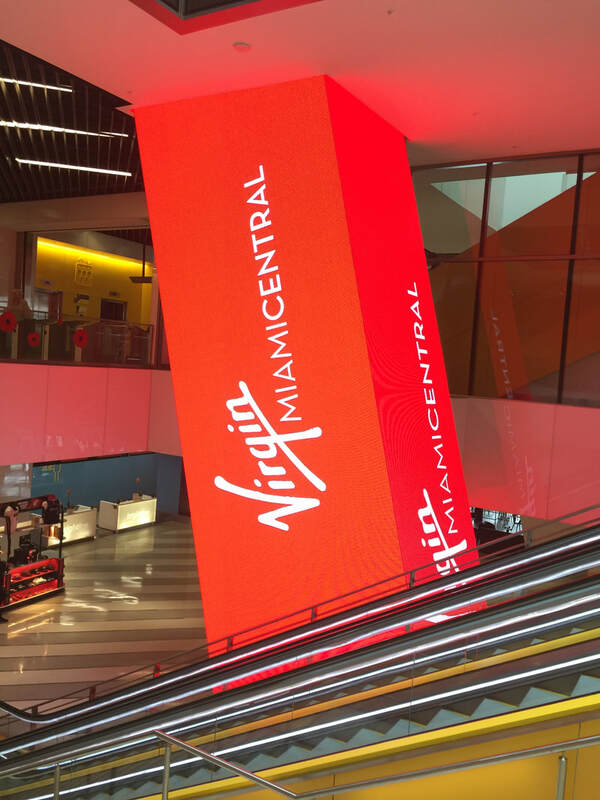 Billionaire British investor Sir Richard Branson was here to oversee the official renaming of the rail line's Miami station to "Virgin MiamiCentral" -- the first step in the rebranding following the Virgin-Brightline partnership announced last November. 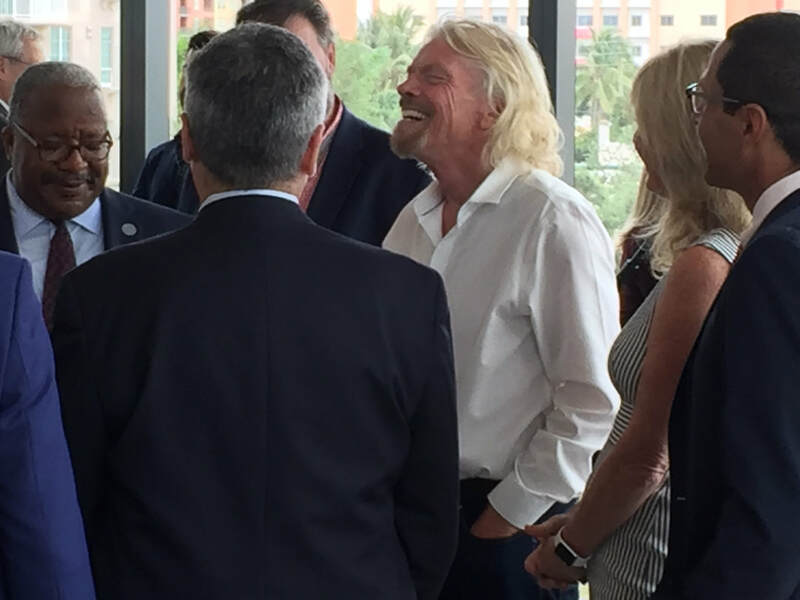 The mayor of Miami was on hand, as well as Virgin Trains USA President Patrick Goddard, along with numerous city officials, Virgin and Brightline executives and media. 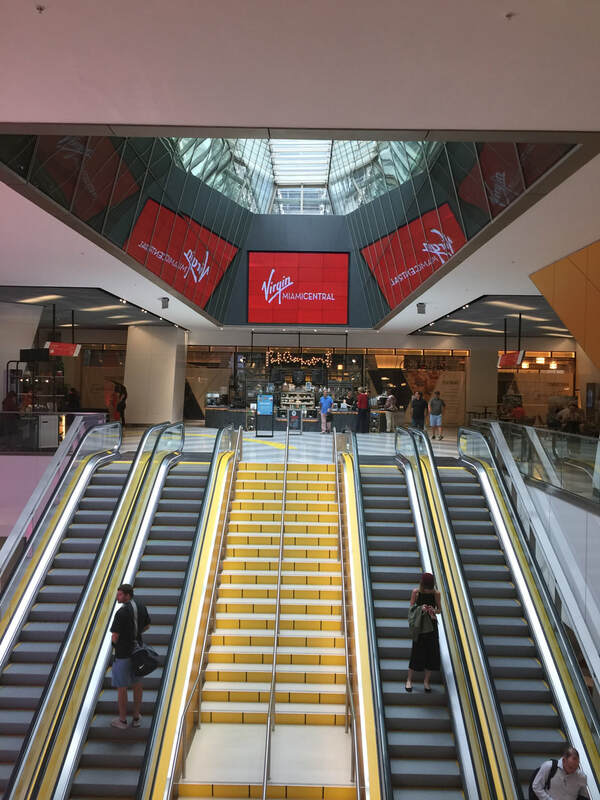 In the coming months and years, the Virgin brand, already among the most recognizable in the world, will become more prominent in South Florida. Virgin Voyages, Branson's new cruise line, is building a new terminal at the Port of Miami, where its first ship, the Scarlet Lady, will make her debut in April, 2020 (we have already booked a cruise on it). Virgin Atlantic is flying nonstop from Miami to London. There's also talk of a Virgin hotel in Miami. At the center of it all is Branson -- billionaire, visionary, entrepreneur, daredevil, adventurer, humanitarian -- and, may we add, one of our longtime personal heroes. When you learn about all he has accomplished, you realize when traveling the road of life he is on the Autobahn while you are in a school zone. Besides all the official duties that filled his day, Branson took time to mix and mingle with Brightline riders as he rode the train from Miami to West Palm Beach, and back again. With his flowing locks and million-dollar smile, guests were no doubt surprised to be greeted by one of the world's most famous men. 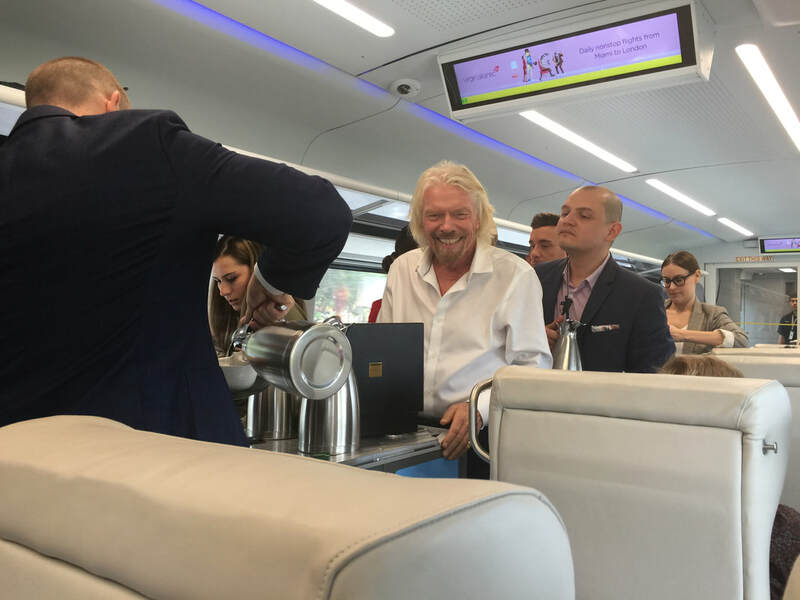 And there we were, sitting in a Brightline car on our way to Miami, about to be served tea by Sir Richard Branson, a person we've admired since the early days of Virgin Records. Wow. Pam and Sir Richard -- no need to say more. Pam has always been a big Anglophile. Meeting Sir Richard in person just gave her more reason to wave the Union Jack. No doubt about it --it's official! Along with a special menu, you could order special drinks, like the Virgin Redhead, below. Take it from us -- those dessert donuts were deadly good! 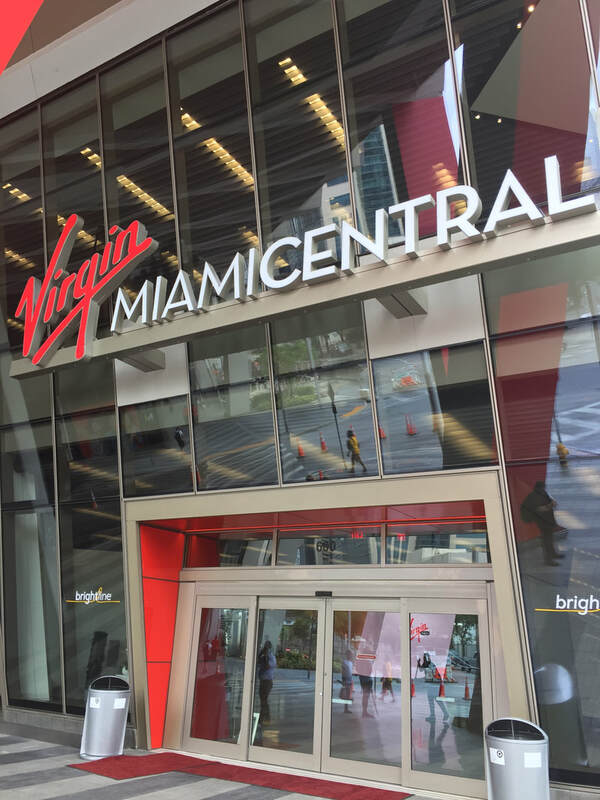 One thing we know ... with Sir Richard and Virgin at the helm, the future for South Florida has never been brighter!